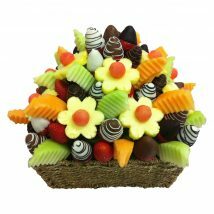 Spoil that special someone with this divine gourmet basket filled with sweet, delicious and chocolatey treats! 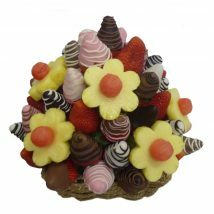 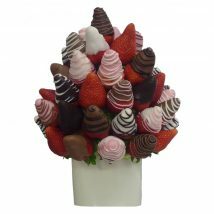 A vibrant mixture of juicy pineapple flowers, rockmelon, honeydew, sweet strawberries and a mixture of decorative white, milk, dark and pink chocolate dipped strawberries. 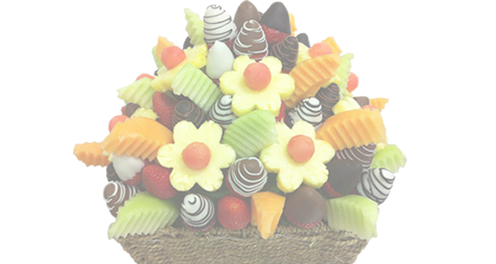 The perfect treat for all the senses – looks beautiful and tastes even better!